HARRISBURG, PA (WSKG) — Pennsylvania’s three candidates for the Republican nomination for governor are vying to distinguish themselves to voters as the May 15th primary election draws closer. Mango and Wagner both said they’d accept donations from the NRA, while Ellsworth declined, saying she favors total campaign finance reform. All three contenders said they’re pro-life, and expressed support for a divisive bill that would reduce Pennsylvania’s legal abortion window by four weeks. Wagner supported it at the time, though many Republicans did not. But he maintained during the debate, he absolutely doesn’t support any so-called bathroom bills. “This is the best time to call him ‘Lying Paul,'” he said of Mango. After the debate, Wagner clarified his position somewhat, saying he wouldn’t want to extend discrimination protections to cover public accommodations. “The business I created is ten times the size of Penn Waste, just so you know,” he said. Mango also sought to measure conservatism, declaring himself the “most conservative” candidate in the race. 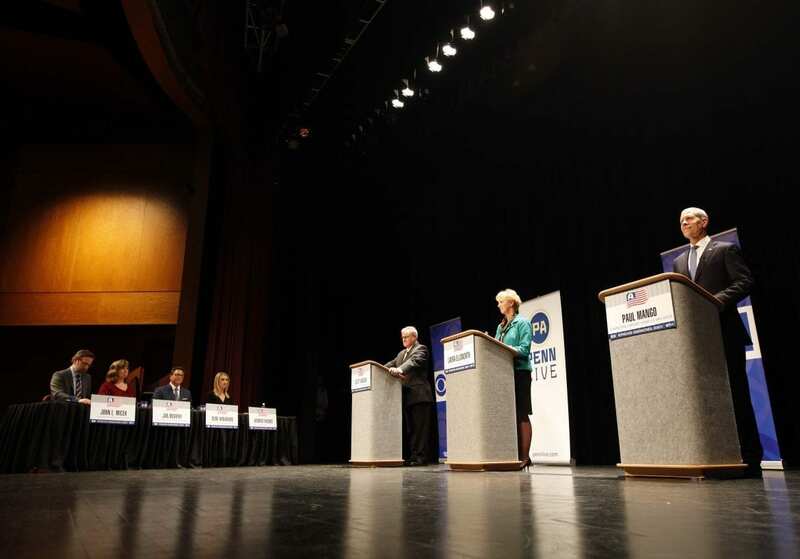 Responding after the debate, Wagner seemed unwilling to engage.